You are here: Home / Panel of Neutrals / Elliott J. Mahler, Esq. EDUCATION: Boston College Law School (L.L.B. 1961); Boston College (B.S. 1958). LEGAL EXPERIENCE: Elliott Mahler is currently Of Counsel at Avratin Law Offices (2006 – present). Mahler was Of Counsel at Barron & Stadfeld, P.C. beginning in 1995. Before that, he held the following positions: Partner, Todd & Weld (1992 – 1995); Partner, Davis, Malm & D’Agostine (1986 – 1991); Weston, Patrick, W’Lllard & Redding (1969 – 1986); Bernkoff, Goodman & Hougton (1965 -1969); Berman & Lewenberg (1961 – 1965). 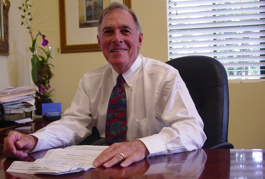 OTHER PROFESSIONAL EXPERIENCE AND ASSOCIATIONS: Approximately 20 years of providing Alternative Dispute Resolution and 50 years as practicing trial attorney. Broad exposure to personal injury, legal and medical malpractice, domestic relations, construction and business disputes. Admitted to Massachusetts Bar in 1961, U.S. District Court in 1963. Appointed as master to conduct hearings by Justices of Superior Court and Probate Court. Appointed as master in Suffolk County Probate Court pilot program. Appointed as Evaluator/Mediator/Arbitrator by Middlesex Multi-door Courthouse, American Arbitration Association and panel member with a number of private Alternative Dispute Resolution providers. Certified as trained mediator by Metropolitan Mediation Services.